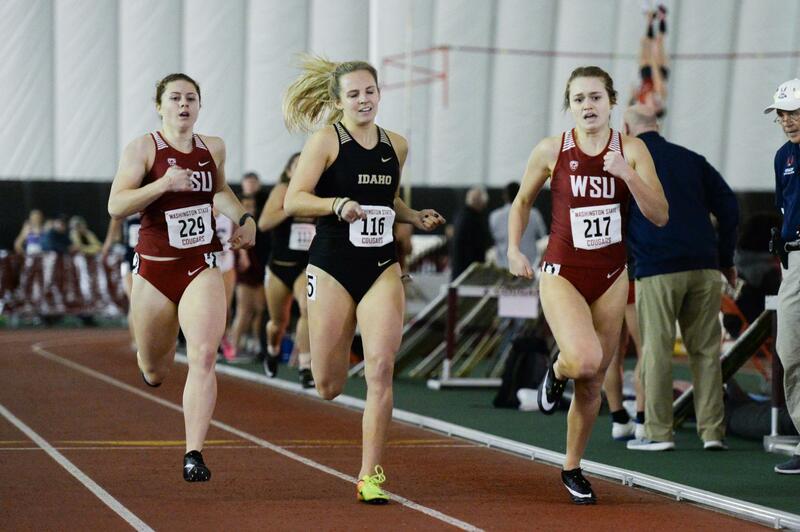 Freshman Ronna Iverson, far right, leads the 400-meter dash followed by Idaho’s Lauren Paven and WSU’s freshman Kristina Schreiber during the WSU Indoor meet Jan. 19 at the Indoor Practice Facility. Iverson placed first in the event with a time of 59.21; Schreiber placed second with a time of 59.42. 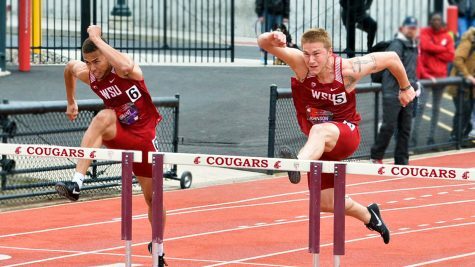 WSU men’s and women’s track and field teams will compete Friday and Saturday in Seattle, Washington and Albuquerque, New Mexico. 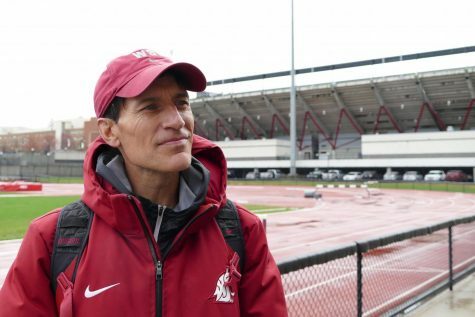 Wayne Phipps, director of cross country and track and field, said there are challenges to competing on the road, but the athletes are prepared for the upcoming road trip and the facilities they will be competing at. 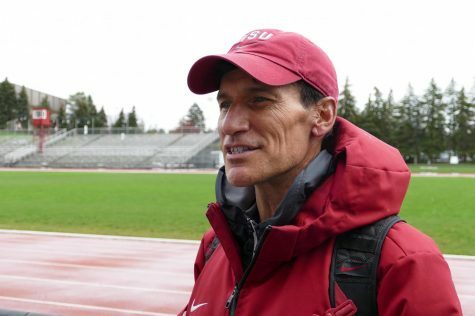 “One of the biggest issues at all indoor venues is having a place to warm up and how to manage a warmup with the different venues,” Phipps said. Phipps said Albuquerque has a fantastic facility, but they’ll have to warm up in an adjacent ballroom. At the University of Washington, there’s not much room inside the facility so athletes may have to warm up outside. 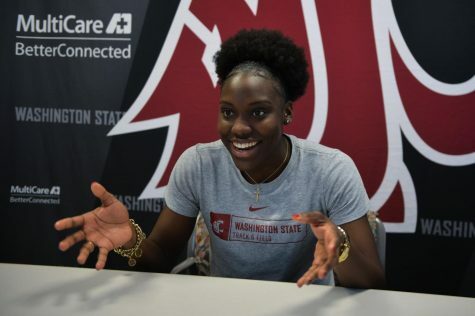 The Cougars traveling to Seattle will compete in the Husky Classic. On Friday, the running events will start with women’s club mile at 2 p.m. 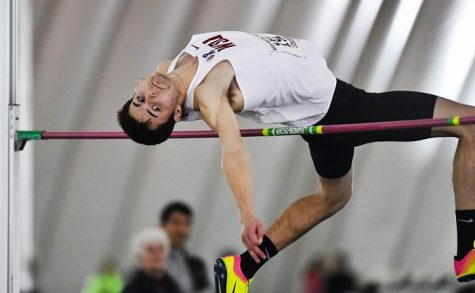 The field events will start at 2:30 p.m. with the women’s weight throw followed by the women’s high jump, women’s weight throw, women’s pole vault and men’s pole vault. The running events will wrap up with the invitational 5000-meters. On Saturday, the field events will start with women’s long jump and men’s long jump at 9 a.m. The running events will start with the women’s 60-meter preliminary at 10 a.m. and will wrap up with the invite 4×400-meter relays. The Cougars traveling to Albuquerque will compete in the Don Kirby Elite Invitational. 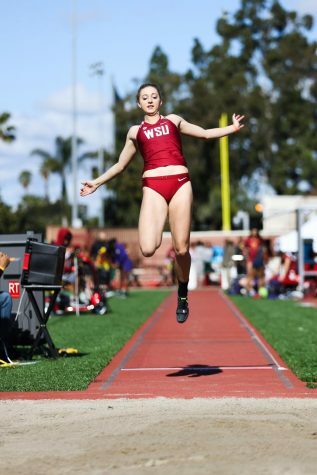 On Friday the field events start with men’s “B” pole vault, women’s weight throw, women’s high jump, men’s long jump and women’s long jump at 4 p.m. The track events will start with the men’s open unseeded 400-meters at 5 p.m. The track events will wrap up with the women’s 200-meters. 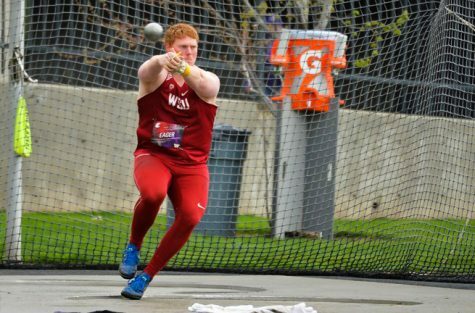 On Saturday, the field events will start with the women’s shot put at 9:30 a.m. The track events will start with the women’s 60-meter hurdles qualifying round and will wrap up with the 4×400-meter relays. 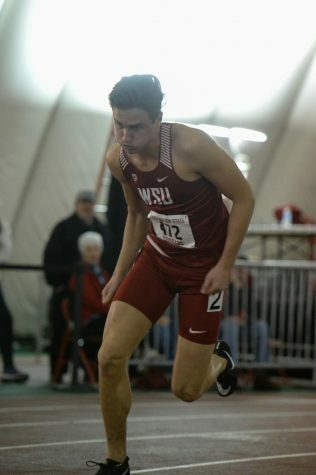 Many athletes have set personal records or put themselves in WSU’s top-10 indoor records. Phipps said he thought keeping the energy going might be a challenge in the beginning with the high-end marks, but it’s been easy. The Cougars look to keep their successful season rolling on Friday and Saturday when they travel to Seattle and Albuquerque.